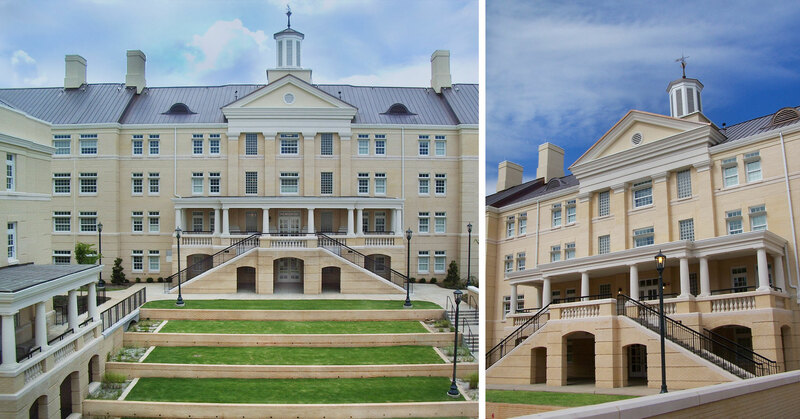 Totaling 186,000 square feet, the complex consists of three separate buildings designed to house approximately 500 students in apartment-style units with two different four-bedroom layouts. 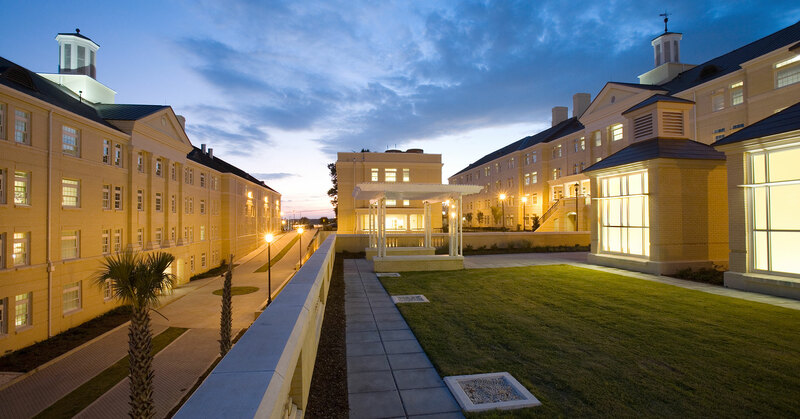 A fourth building, an academic Living/Learning Center in the heart of the quadrangle, integrates a learning environment with the students living quarters. The learning center houses computer labs, classrooms, study lounges, and faculty offices. Another key amenity is Café Verde, a grab-and-go style venue designed in collaboration with USC’s food service provider, Sodexo. A first of its kind, the sustainable design achieved LEED Silver and boasts a green roof component in the main courtyard and a carefully planned system of filtering surface runoff. 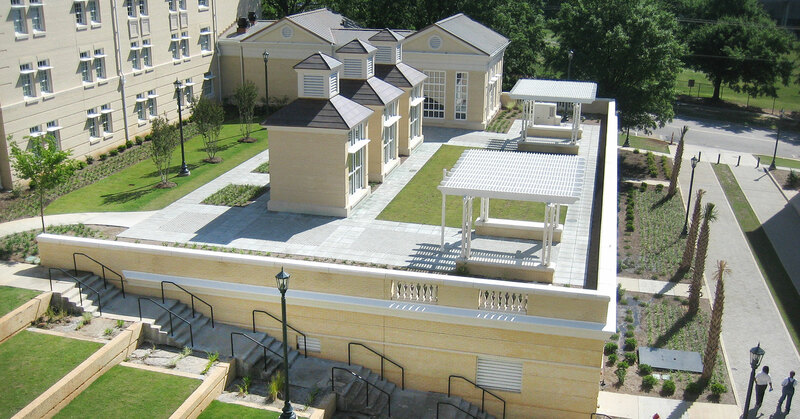 The architectural design was a collaborative effort between BOUDREAUX and Little & Associates Architects of Charlotte, NC.